We just got notified by our security department that they want us to disable TLS 1.0 for the remote desktop connection because it’s not considered secure. In order to disable TLS 1.0, you need to modify the registry. The registry key is not there by default. You will have to create new keys for it. If you want to create it manually, here are the steps. When you are done, it would be like this screenshot. 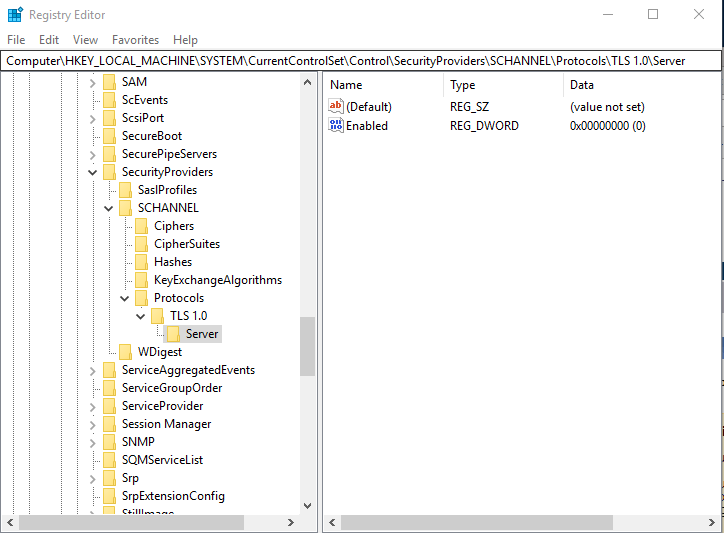 If you have a lot of machines to change, I’d recommend using a group policy object to deploy the registry to all the computers.